Years ago, my father got transferred to Gandhidham for one of his postings. Back then, we were settled in a remote town in Chattisgarh, and vaguely knew that the said place happened to be in Gujarat. 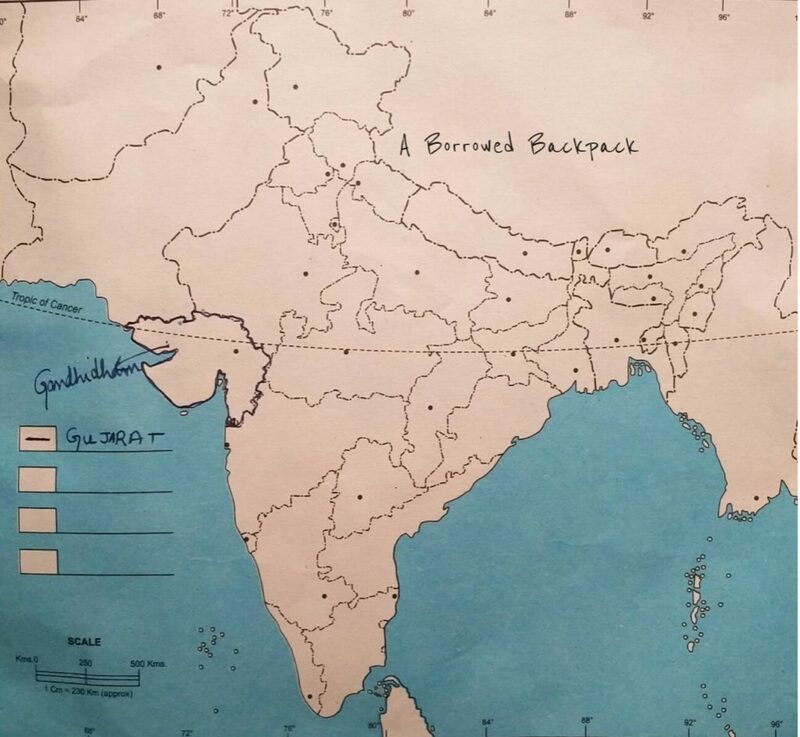 To put things into perspective, here is a map explaining the location of the state, with respect to the Indian map. The area marked in blue ink is the state called ‘Gujarat’, and the dot-mark is placed at approximately what should be ‘Gandhidham’. Gujarat, the land of sweet food. My father, a diabetic for last 25 years. We moved to Kutch, and during winter-breaks, a newer place became ‘home’ to come back to. In the process of settling down, we sent out a word that we were looking for a part time domestic help. Soon the word got around and out of several women who came looking for work, we hired one. She was to cook for us twice a day. My father’s only instruction to her after the first meal from her was, “do NOT put sugar in anything from the main course”. She nodded her head in affirmation every time she was told this. Things would go fine for a couple of meals, before becoming an all-encompassing, palatably confusing, ‘sweet deal’; sweet kadhi, sweet ‘daal’ and/or sweet vegetables‘. After this, came the question that most of the other states wonder about Gujarat; why is Gujarati food sweet, or why do Gujarati add sugar to their food? I have taken after my father, and I dislike most of the sweet food. ‘Home’ is rarely a place; it is a feeling, few people and some specific kind of food. By the end of my first week of being back from college, I had ruefully eaten several combinations of sweet main-course; spicy-sweet, tangy-sweet, chilly-sweet, sour-sweet, sweet-sweet, salty-sweet. You name it, and I had had it. Half of the experience of returning home during college -break was ruined just because of this, leaving me horrified, meal-after-meal. Our protests fell on deaf ears, and sugar continued to be an integral part of our lunches and dinners. One afternoon, I cornered the cook and got talking, to understand what was so tough for her to comprehend and follow. I dug deeper to grasp the root cause of the ‘problem’. “We Gujarati(s) put sugar in our food to nullify the effect of ‘khaara paani’ (salty water) that the region has. This part of the country is largely a dry, coastal desert.” said our neighbor. ‘Coastal’ and ‘desert’ in one sentence was new for me. “But not all things are sweet. Thepla, fafda, dal-wada, khichu, sev-khamani, sev-tamatar are not sweet and can be had by a diabetic”, she explained further. Since the region has limited cultivation of green vegetable (while Gujarat is largely a vegetarian state), most of the dishes find extensive use of gram-flour (dhokla, wada, pakoda, khamman, khandvi), dairy product (kadhi, chaach, doodhpak to name a few). Many of these items can last for several days. As it happens with people, food and places, we fall in love inspite of them; we grew to like ‘kutchi’-cuisine. Gradually, our evening-walks turned into a reason to go for ‘dabeli’, kutchi version of ‘pao-bhaji’, a kind of ‘jhaal-moori’, but never dhokla. Unlike other states, ‘dhokla’ is strictly a breakfast item in the state. The other theory that came my way was- the combination of salt and sugar helps in keeping one hydrated in the hot climate of Gujarat. How much of this is true, remains to be verified. That said, inspite of our resistance, Gujarati food grew on us and how. So much so, that I would happily book few cheap tickets to some of these ‘foodie’s paradise’ states, as soon as Indigo or Jet Airways announce their next flight-ticket sale! P.S. : If you are a diabetic, and are looking for non-sweet items, here is the list of food-items that do not contain sugar: Thepla, fafda, dal-wada, khichu, sev-khamani, sev-tamatar, some daal(s). One of the most amazing cuisines from India. The cuisine has every kind of sweet. It is a difficult cuisine for diabetes patients. That is such a fun fact! I find that I pick up my seasoning habit from those who have taught me how to cook. I never considered it would have been a way to counteract an issue such as salty water! Who knew!? 😀 Born and brought up here in India, I got to know of this only when we moved to Gujarat. I have spent 10 years of my life in Gujarat and I so love Gujarati cuisine! Dhokla all time favourite! 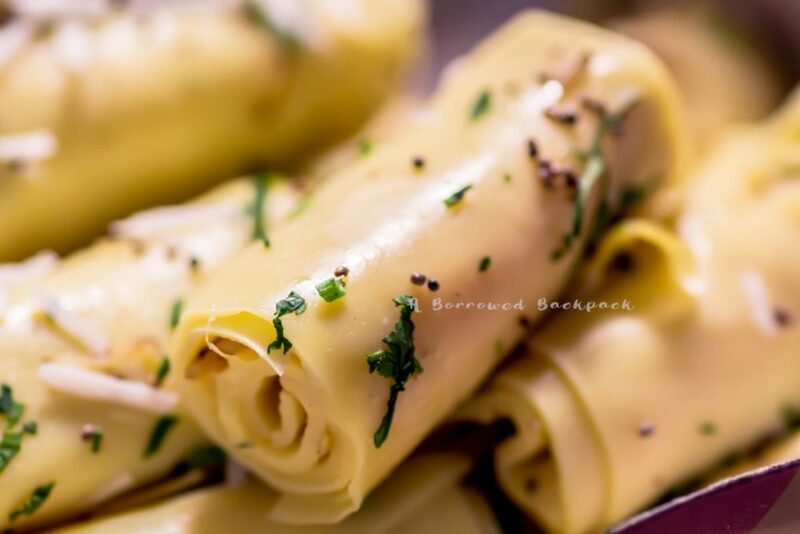 I used to love dhokla at one point in time, and then I discovered Khandvi. Yes Rashmi, I agree with you. I can’t have sweet food everyday, but some dishes are classic. Interesting perspective. As someone who grew up in Gujarat i find your logic agreeable, and yes, Gujarati cuisine grows on you very fast. Having lived in MP and travelled to most states you value the spread once you see limited menus in most states. You write well. By the way “khara-pani” is history as the state has been getting Narmada water for over a decade now. The food though, still remains sweet. Well, culture doesn’t change like the source of water, and that adds diversity in the platter. This is fascinating that sugar is used to counteract the salty water. I have quite the sweet tooth although it doesn’t help that I eat too much processed food, which contains a lot of sugar. Processed food is altogether a different story. It helps in nothing, and is a problem in long term. How interesting! I love sweeter food, and do not enjoy saltiness. It is too bad that the water is overly salty in the region, but sweet food can be quite satisfying. I agree with you that for people who like sweet food, it can be quite satisfying in a good way! To have it everyday is a different story altogether though! This is interesting logic behind the sweetness! I would personally love it, I have a major sweet tooth! Good for you, because I can’t have sweet food everyday! It is very difficult for me. Hope you get to try out Gujarati food soon. I asked the same question to my friends on FB, but turns out that Bong food has mostly sweet-dishes which are sweet, and nothing from the main course, or snacks. Former is mostly dairy based in Bong food. I have never heard before that India can have sweet food too. From my own experience (but I never visited Gujarat), every meal I had in India was very spicy. I would like to visit Gujarat though just to try out the food. Sounds intriguing! Do try out Gujarati food. It is amazing! I have always wondered why it is so sweet, and now I have the answer! 🙂 I love gujarati food, and miss it very much (I don’t get very good gujarati food here in Washington, USA). I understand that problem of not getting your favourite food away from homeland. I love sweet food. And the reason why this food is sweet amazes me. I’ve tried some Indian cuisines and sweets, but I’ve never crossed one like this. I thoroughly enjoyed reading it, Divya. It reads like a short food/culture essay. Quite an interesting read. Coming from an archipelagic country, the Philippines, our food is either too salty or too sweet. Thank you for this! How interesting and fascinating. I never thought about it that way… the way the people in this region put sugar into their food is like we put salt into our food. This is a great way to understand the area and culture better! I am like you and your Father, I am not a fan of sweet food, so I am not sure how I would go with a sweet dhal! to be fair to them, they do put salt too, in case it didn’t come through in my post. Such an interesting explanation about the water and hydration. I am not a fan of very sweet dishes but love trying out new food.Thanks for the list of sugar free foods. Yes, it was interesting for me too. I love Gujarati food! I’m not a big fan of sugar in my food but Gujarati cuisine just nails in perfectly. Even I am not a fan of sugar in my food.